We have a long established tradition of helping those in need, whether through the Family Fast Day economy lunch or through a vast array of fundraising activities for different causes throughout the year. Students use all their talent, humour, ingenuity and business acumen to raise lots of money and have a huge amount of fun, whilst at the same time reminding ourselves we are all part of a local, national and international community, often with genuine needs to be met. Our charity fundraising efforts have supported many local, national and international causes over the year. As a community, we understand just how priviledged we are, and recognize the Gospel call to serve others. We have forged extremely strong links with the Kiddies Support Scheme Charity (KiSS) since 1994. In the 23 years that the JHN community has supported KiSS we have raised in excess of £350,000. The money raised for KiSS supports vulnerable children and their families in Uganda by allowing them access education and healthcare. KiSS not only supports these children financially, they also create communities where kids can be kids, and where older members of the community can support each other through various agriculture and financial schemes. As a school we have also had the enormous privilege of hosting some of those who have been supported by KISS in Uganda. The School enjoys a very close relationship with the charity in Uganda, Mr Matthew said recently that 'if you don’t know KiSS then you don’t know JHN'. Each year our Head Boy and Head Girl team visit the community in Hoima and Kasambya at Christmas and return in January to rally the school in its fundraising efforts, such as the staff panto, gym and dance displays and, of course, KiSS week. 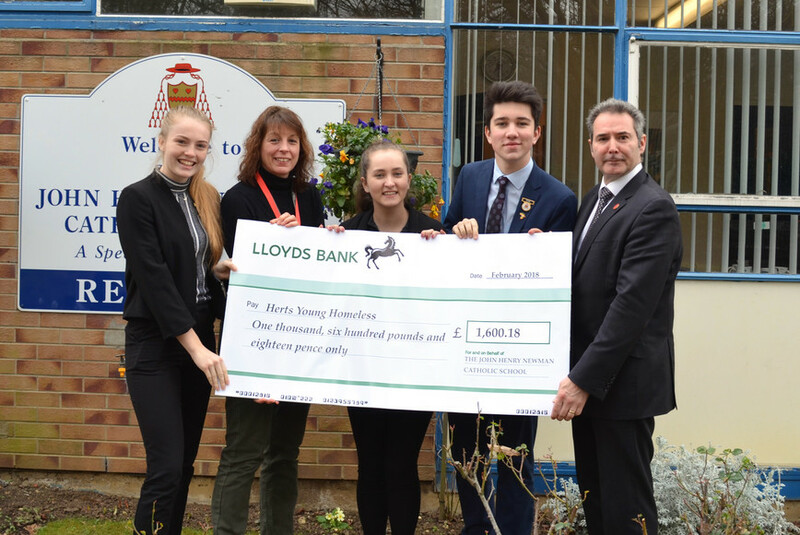 These events not only raise astonishing amounts of money but they also strengthen the community within the school and build on our ethos to support those less fortunate than us. In the last few years, a group of students have also been to participate in the KICA programe which runs through the school holidays. Every summer, this group visits both villages to help with building and agricultural projects and to learn about what kiss does and how the charity impacts so many lives. Our relationship with KiSS is not just about us raising money, in recent years we have seen multiple groups of musicians visiting Uganda to teach the children how to play instruments, enabling them to pass these musical skills throughout their communities. In 2015, the first music mission was held. 15 former students of JHN travelled to spend 3 weeks in Uganda. They taught music in Hoima and led music making activities in schools and at the Hoima cathedral. The group then moved on to Kasambya, to tour the music that had been taught and have now formed a function band where they can begin to generate some income because of the project. In 2017, another 10 students traveled to Uganda to continue their music training, plans are also underway for the music mission in 2019. Every year, in the weeks leading up to Easter, our minds turn to raising funds to support our annual pilgrimage to Lourdes with HCPT. This money enables children from all walks of life to take part on the week long pilgrimage. Sixth formers accompany the group as helpers for the younger children. Children and young people who have been to Lourdes with HCPT always return renewed in their faith and affirmed by a range of fantastic new friendships and experiences. The group always takes time to pray for the rest of the School community at the grotto. Every year we participate in the CAFOD Harvest Fast Day, not only as a way of raising funds for CAFOD, but also as a way of growing in faith and in understanding of some of the issues faced by the World's poor. Pupil's also spend time learning about the work of CAFOD in their RE lessons, and CAFOD resources are regularly used to support assemblies, liturgies and prayer time. At Christmas, we launched our second year of the ‘Hampers Little Helpers’ Appeal and it has been a huge success! Last year, many of the pupils at the school expressed a real desire to get involved and try to help in our local community. They wanted to try and do something that would make Christmas that little bit more special for those less fortunate, and so they decided to introduce the ‘Hampers Little Helpers’ appeal to the school. The appeal proved to be more successful than they could have hoped and the pupils collected over 70 Hampers to be distributed between The North Herts Sanctuary and Stevenage Haven, The Garden House Hospice and the Stevenage Food Bank. Pupils collected over 30 Shoeboxes that were shared between local churches and the St Vincent de Paul Society, to be distributed to elderly people who were going to be on their own at Christmas. Every single pupil and student donated to the appeal, along with a large contribution from the staff, which saw an overwhelming result for the appeal. This year has proved to be equally as successful and has offered the opportunity to spread the donations further amongst local charities. When the Hampers were organised and ready to be distributed to the charities, representatives from each charity were able to come in to the school and speak to the pupils about the work that they do, and how much of a difference the appeal would make to their charity this Christmas. The pupils also held an own clothes day and a cake sale to raise money for our Hamper charities, and the funds from the Christmas Concert were also donated, raising in excess of £3,000 to be distributed between them. It was a very rewarding experience for all to be able to work together and support each other in the work that we do, and reminded all involved the difference we can make when we come together as a community. Throughout various points of the academic year, we like to turn our attention to certain charities other than those we regularly support. For example in the autumn term, we look to charities that are supporting people who may be homeless. In the spring we focus on a local charity. Recent examples have been Herts Young Homeless, and The Trussel Trust Foodbank. The funds raised from each non-uniform day go to a charity chosen by the charity subcommittee of the School Parliament. Pupils and students sometimes make requests to raise funds for other charities close to their hearts. Recent charities have included the Papworth hospital, British Heart Foundation, Make a Wish Foundation, Maria Skobstova house. Frequently, these are in support of pupils whose families have been directly impacted by their work.